Are you not sure if annuities are the right financial solution for you? Tired of reading through piles of documents just to get the basics? 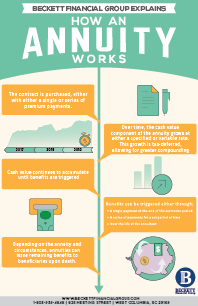 Check out our infographic which explains the intricacies of annuities. It’s the easier way to learn about annuities. Please Fill Out the Form to Claim Your Copy Today.